Portable receiver with a selectable High/Low volume control switch. Battery operated with low stand-by power consumption. On/Off switch for door sensing. Red light on door monitor to indicate when transmitting. Operating range of up to 30 meters. 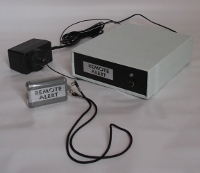 The DM2 wireless door monitor comprises a transmitter unit with a reed switch and magnet. 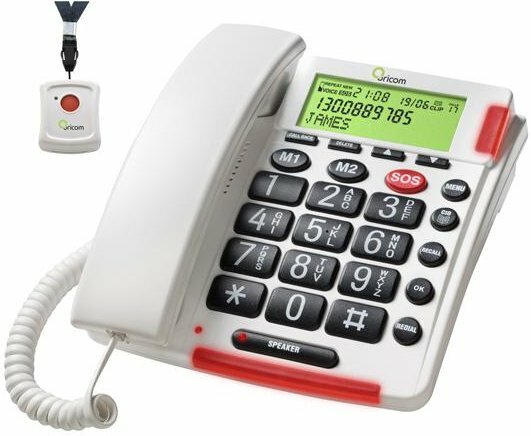 The remote receiver is designed to receive calls from the transmitter unit. The receiver unit may be used as a portable or fixed device. Installation instructions are included with each unit. 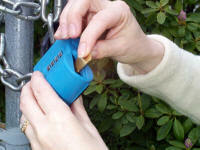 The ShurLok has a 4 dial lock with 10,000 possible combinations. 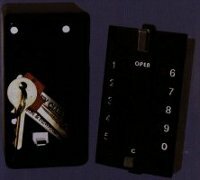 Competing 3 dial lockboxes only allow 1,000 codes. Four rolling dials provide true 4 digit encoding for 10,000 combinations. You must enter the numbers in the right order. Compare that to punch button lock boxes that let you enter a code in any order (1-2-3-4 opens up at 4-3-2-1, 2-3-1-4, etc...) and you’ll agree that ShurLok offers superior security. A patented feature allows one code to open the key storage compartment and a second code, which you retain, secures the shackle. Has ten buttons for security. Fix to internal or external walls. Simple to change the combination.